Does your city/state gas stations have the Gas Pump Hold Clip? 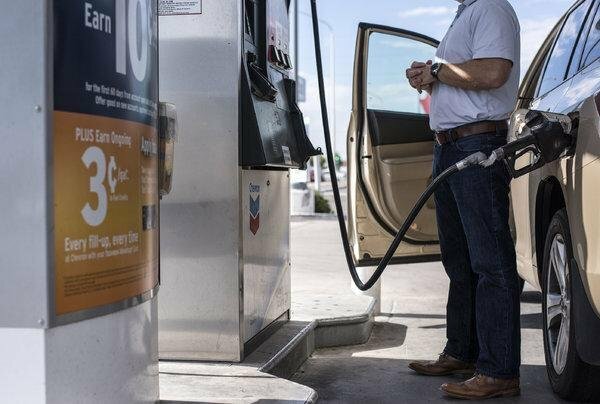 I am from NYC and I fill my tank about 2wice a week and its super annoying that all NYC gas stations dont have the auto pump feature like some out of state gas station like NJ have. I am very curios to see which cities or states in the USA/Around the world actually are missing the the automatic feature on their pumps. I know that all the gas stations in NYC don't have this clips and its super annoying that we have to hold the pump until our tanks are filled. It would help out if you all can comment below if your state/city has the same problem...or if all your gas stations are full service or self serve.